It’s a blustery, drizzly, foggy winter’s day. A day that might normally send you straight back to bed to take refuge under the covers, a cup of tea and a pile of good books close by. But we’ve got a lunch date. 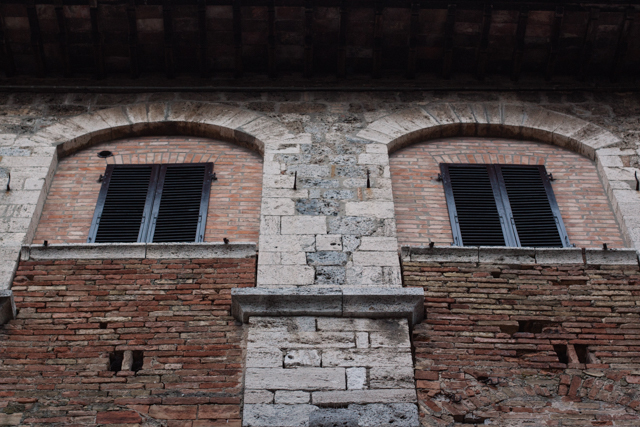 In San Gimignano. So, fuelled with coffee, we hop on a train from Florence to Poggibonsi where we meet my good friend, Sarah, a San Gimignano local. 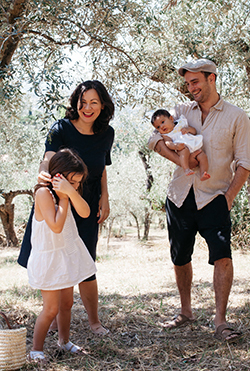 She runs her family farm, Poggio Alloro, 10 minutes drive from San Gimignano in its glorious, rolling countryside. 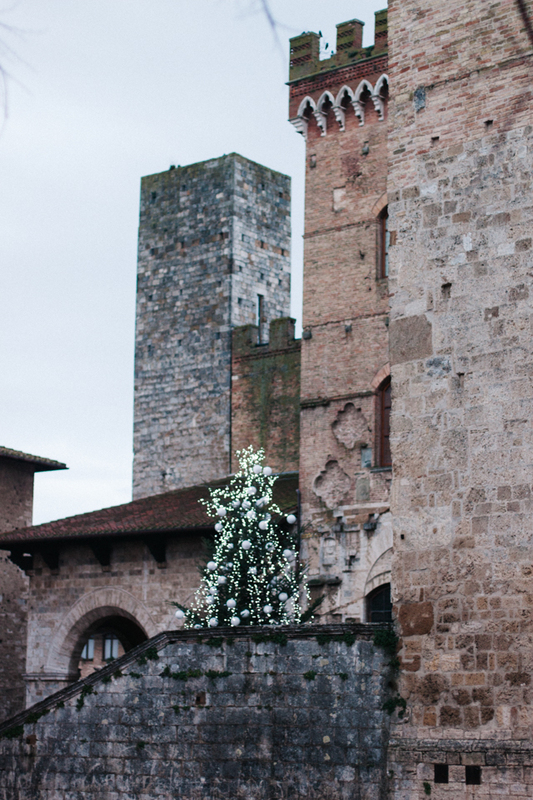 And now that it’s the middle of winter, and all is quiet across San Gimignano, she wants to show us her town. 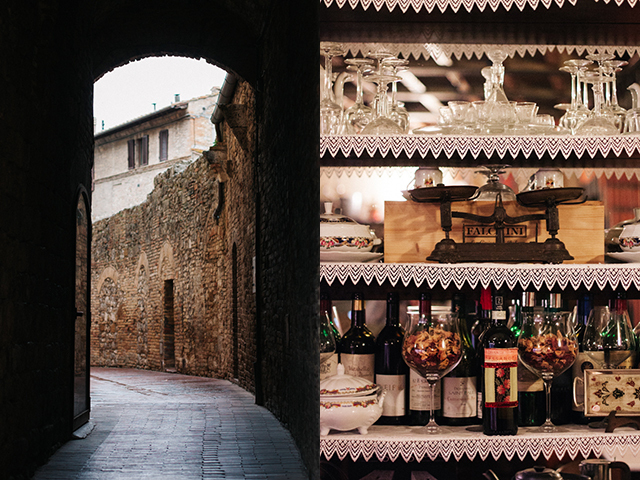 San Gimignano is a place that suffers from its success and popularity. For about nine months of the year, the UNESCO World Heritage site swarms with tourists who come to see this remarkably preserved hilltop town and its 14 towers, rising out of the walled city like a “medieval Manhattan”. 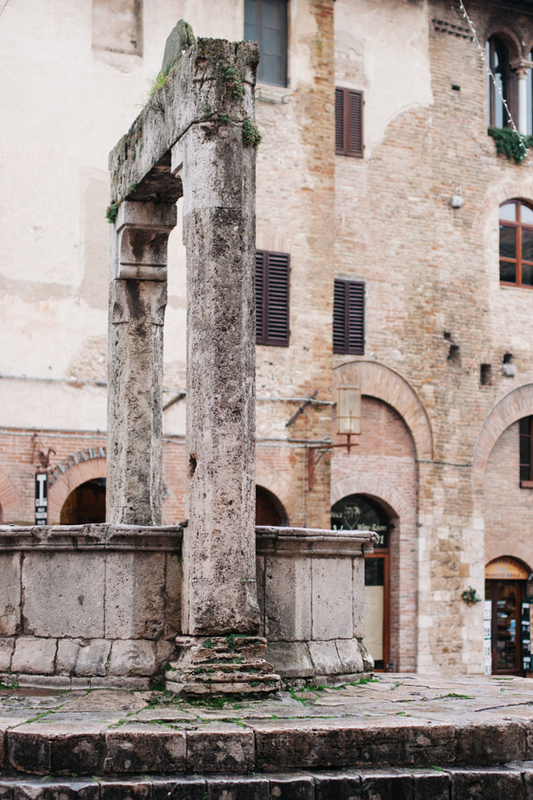 Often in the unbearable, scorching heat of the afternoon summer sun, they wander the main street up to the 14th century piazza in search of gelato and shade, past many tacky shops and the torture museum. Within an hour, they’ve left, back on their way to Siena or Florence. In the meantime, more coaches pull up and more tourists stream in. It’s rather like a Disneyland. 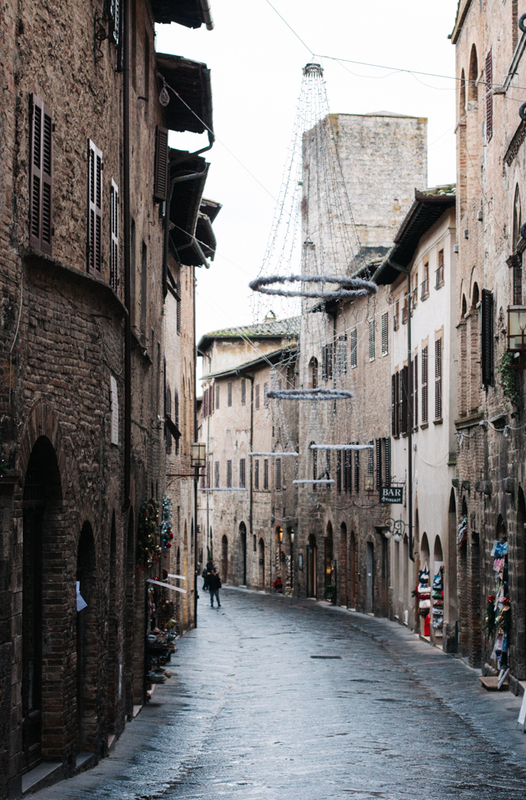 Visiting renowned tourist sites that are entire cities — places like San Gimignano and Venice, oh, and Florence – in the off-season (on a random weekday, especially) is, one of the few chances to really have them “to yourself” (the other is at night). It’s a rare opportunity to see the place quietly, slowly, without crowds but with bushels of atmosphere, made all the more moody and beautiful by the fog, the rain and the cold. Alone, meandering over the damp, shimmering, medieval stones, you don’t have to go far to imagine stepping back in time by a thousand years. And there’s nothing quite as comforting and satisfying as warming up over bowls of soup and glasses of wine for a few hours in a cosy restaurant. Try doing this in the summer and you’ll find that it’s simply too hot and crowded. Too hot to walk up to the piazza, okay maybe only if you can get a gelato (but there’ll be a queue a mile long). Too hot to drink wine — you’ll want to wait until 8pm when the sun’s rays are less fierce. 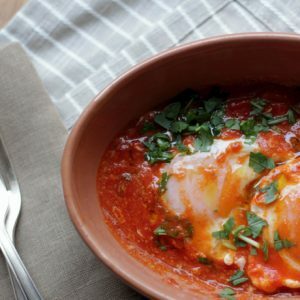 Too hot to sit in a restaurant and eat hearty Tuscan food. Try this with overheated cranky children (or partners!) and you’ll wish you simply were at the pool instead. But in the winter it’s a whole different story. 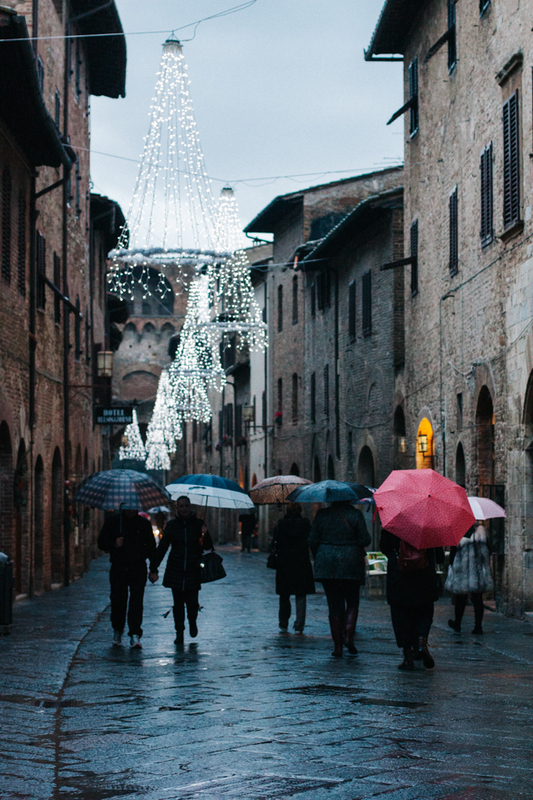 The paved streets, shiny and damp from the rain, are empty. The mood is peaceful, the locals more relaxed, relieved, even. We start our winter visit with mugs of coffee, pastries and toast. We are quite literally on our own. 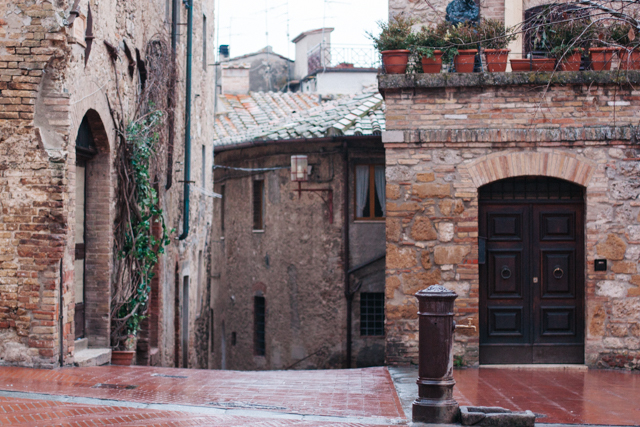 The next several hours are spent slowly wandering in the drizzle, admiring the panoramic views (smudged with a touch of fog) from the edge of the city walls, peeking into ancient courtyards (someone left a door open) and taking in the medieval architecture, without another soul around. 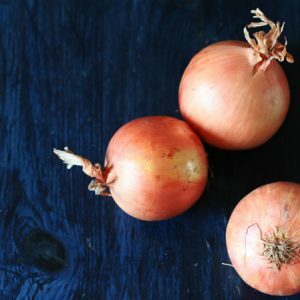 Tummies start rumbling, hands are getting cold and we head to Sarah’s favourite restaurant and warm up with delicious, comforting bowls of soup, homemade bread and plenty of wine. Caffe Giardino, Viale Roma, 17. A sweet little cafe just outside the walls of San Gimignano, a few steps from Porta San Giovanni (the town’s main entrance). They make wonderful panini with their house-baked schiacciata and offer huge mugs of cappuccino, just the thing for warming hands for an early morning winter visit to the town. I particularly love the bruschetta, grilled toast with melted gorgonzola and jammy fresh persimmons. Galleria Continua, Via del Castello, 11. 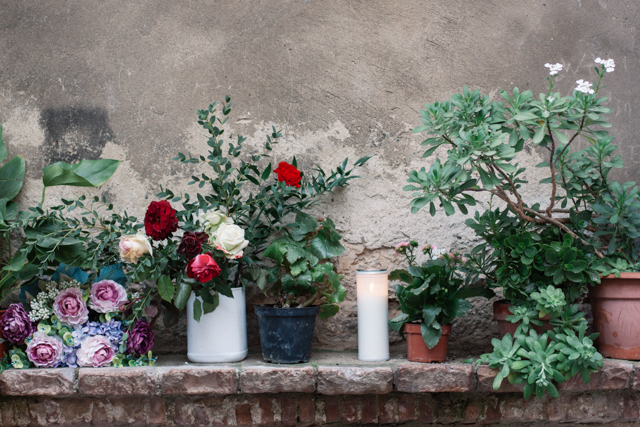 A stunning contemporary art gallery hidden behind in an old theatre, just off Piazza della Cisterna. See their website for the list of current exhibitions and the impressive list of international artists that they represent. Note that they close for an hour over lunch. Osteria del Carcere, Via del Castello, 13. 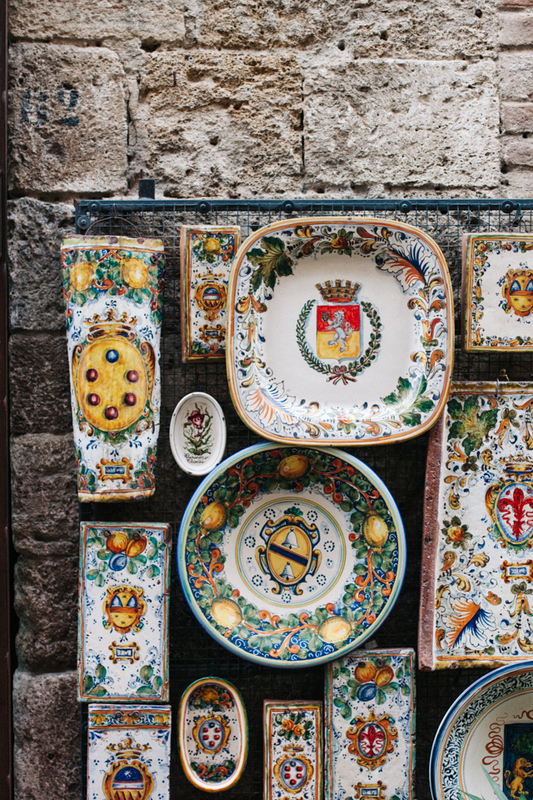 A wonderful restaurant that focuses on Tuscan specialties. 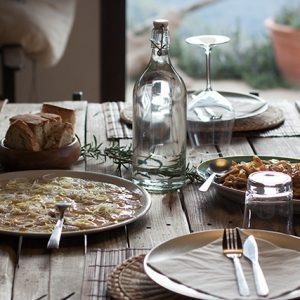 You won’t find pasta or pizza here, but you will find an array of flavourful, rustic, seasonal Tuscan soups like zuppa di porcini e fagioli (porcini mushrooms and beans), zuppa di cipolle (onion soup) and minestra frantoiana (a vegetable soup). It’ll be hard to choose just one, so you can also order 2 or 3 soups in small portions. 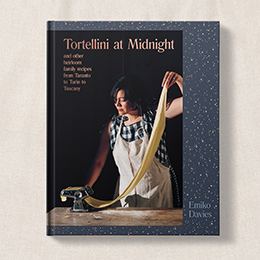 There are terrines (they come from the famous Cecchini butcher), roasts and more. Don’t miss out on a cheese platter either, each cheese is full of character and comes from a nearby farm. They’re accompanied by honey and house-made jams. The bread and the biscuits served with coffee are house-made too. 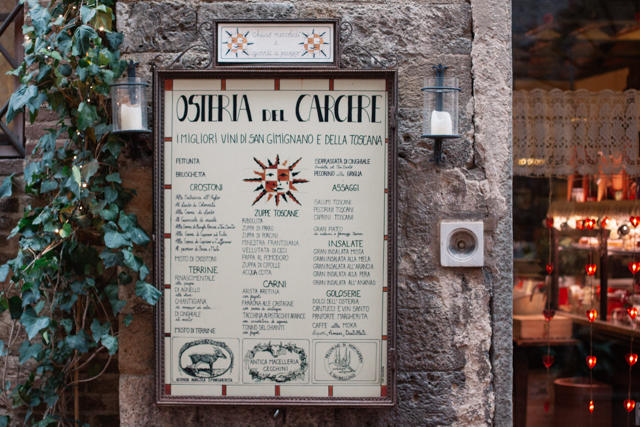 Extensive wine list (they claim to have the best wines in Tuscany). Duomo, Piazza del Duomo, 2. Also known as The Collegiate Church of Santa Maria Assunta, this is a beauty of a church. 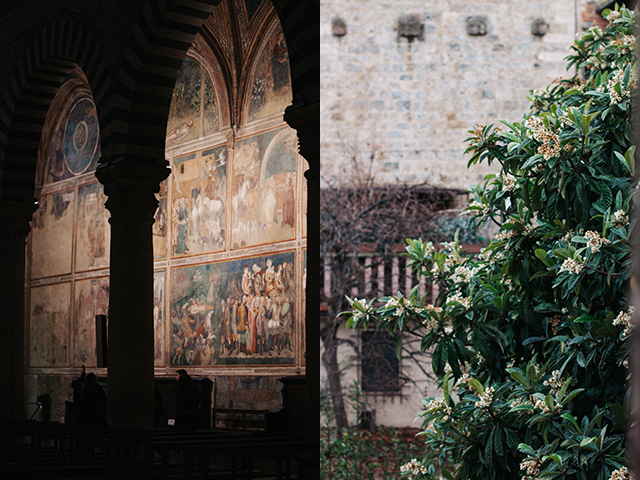 Its mesmerising interior is entirely frescoed with the cycles of the Old Testament and the New Testament, and featuring the work of masters like Domenico Ghirlandaio, Benozzo Gozzoli, Lippo Memmi (Simone Martini’s brother in law), Bartolo di Fredi, Taddeo di Bartolo, it is not to be missed. Rocca di Montestafoli, Via della Rocca. Just keep walking up, past the duomo, and keep going up hill. 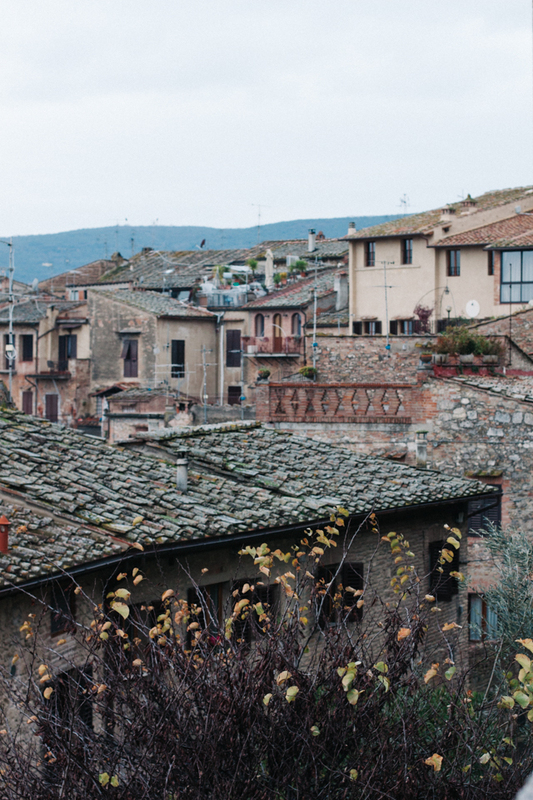 You’ll end up at the Rocca, the highest point of town, where you can admire the olive tree garden and the surrounding countryside and look at the towers at what feels like eye-level (photo below). Gelateria Dondoli, Piazza della Cisterna, 4. 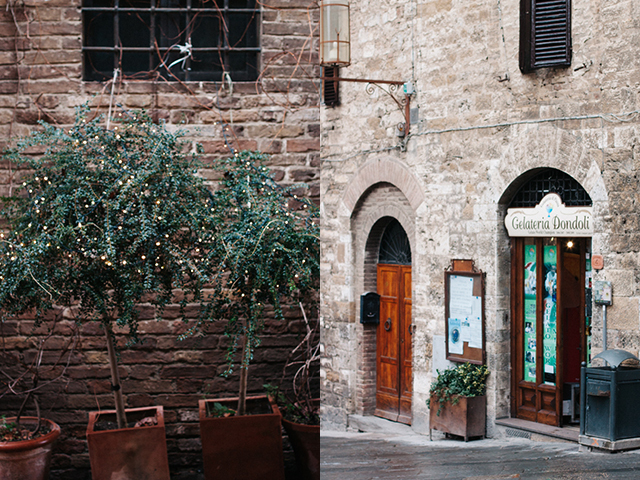 The only place to get gelato in San Gimignano. It’s world-famous and for a reason. 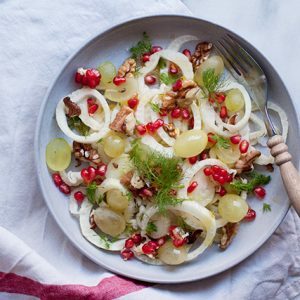 It’s delicious, they use natural, seasonal ingredients, and a unique combination of flavours for some untraditional variety. My favourites are the blackberry and lavender sorbet and the creamy gelato dedicated to San Gimignano’s patron saint, Santa Fina, made with San Gimignano’s infamous saffron and pine nuts. Fattoria Poggio Alloro, Via Sant’Andrea 23. 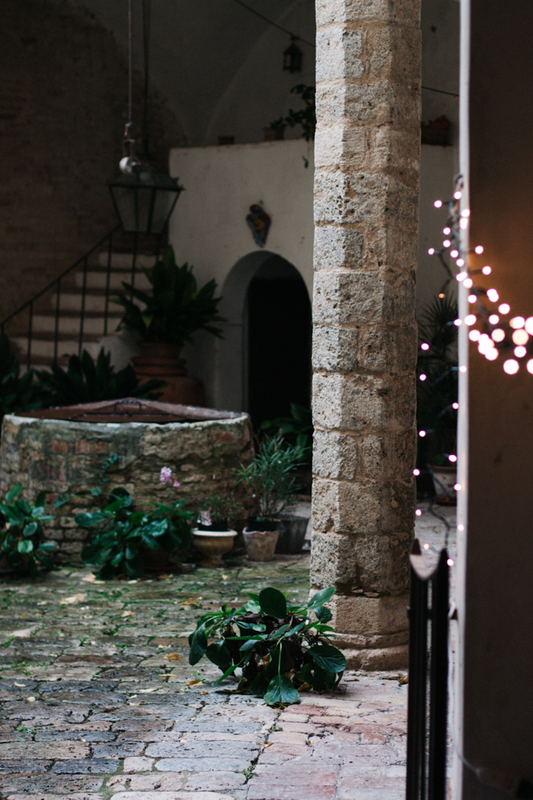 When you need a place to sleep or you want to get out to a farm for dinner, Sarah’s family farm is just a 10 minute drive past some of the prettiest views in all of Tuscany. On a Saturday night, their Chianina farm is my favourite place to enjoy bistecca alla fiorentina (the photographs in that post were taken there), sitting in the old farmhouse by a roaring open fire. 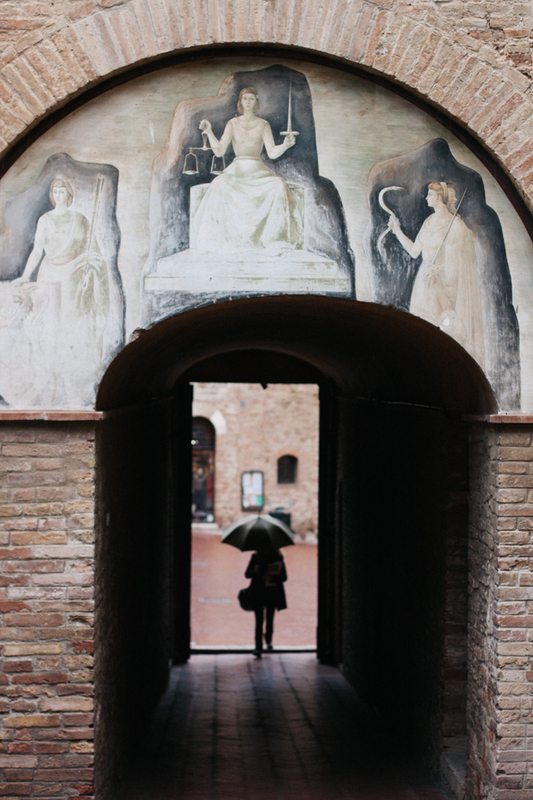 Also check out my friend Georgette’s, aka Girl in Florence, take on our wintry day out here. Empty and magical! How I would love this wander. I’m coming to Firenze, for the first and long awaited time, next weekend and found my way here courtesy of the Lonely Planet guide. I will continue my explorations with you later. Your pictures are unbelievable. 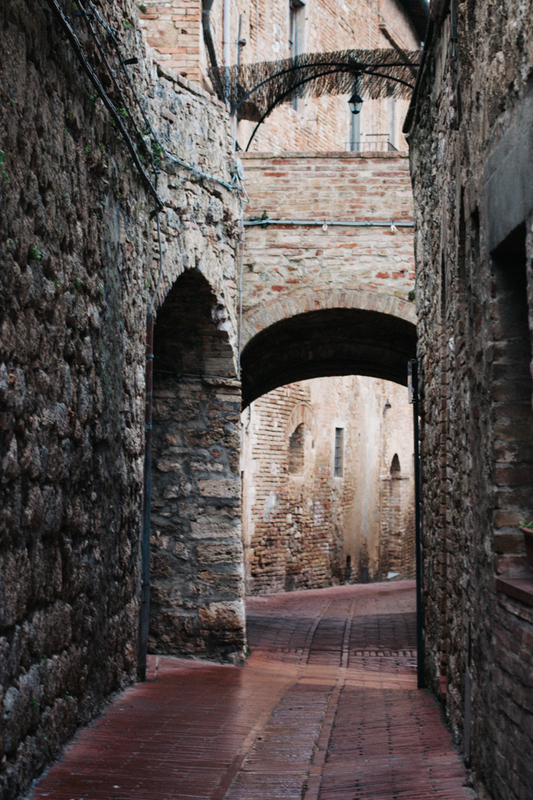 I went to San Gimignano in summer and it was so packed with people, and I was so much in a hurry, that I could barely feel the atmosphere of the city. I have to go again, and this time in low season. 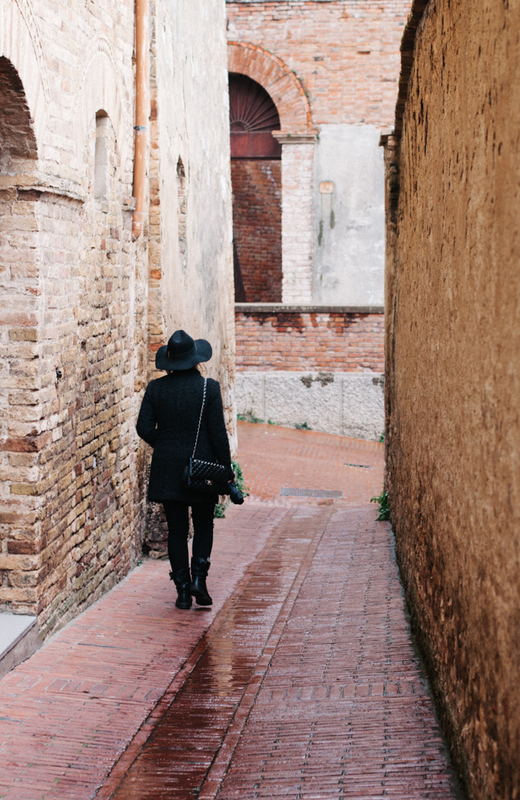 Some parts of Italy are really best visited in the off season — you can enjoy it more, go at a slower pace, you don’t have to fight through the crowds or battle the heat. It’s my favourite time of year! 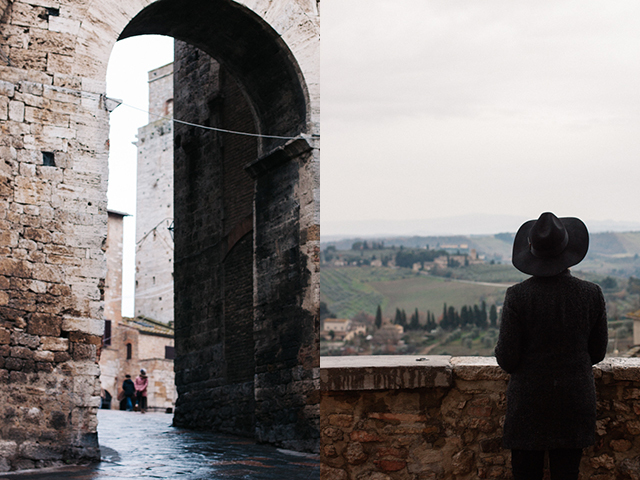 Lisa and I are visiting San Gimignano, NOW, from March 17-April 1. We simply love it, here. 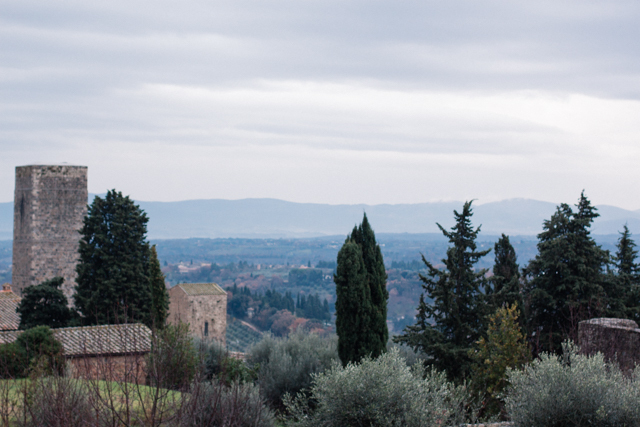 Our plan was to marry, somewhere in Tuscany, and we did, on March 20, in San Gimignano. The weather is a bit cool, now, but edging into springtime, it is actually very nice, if dressing in layers. 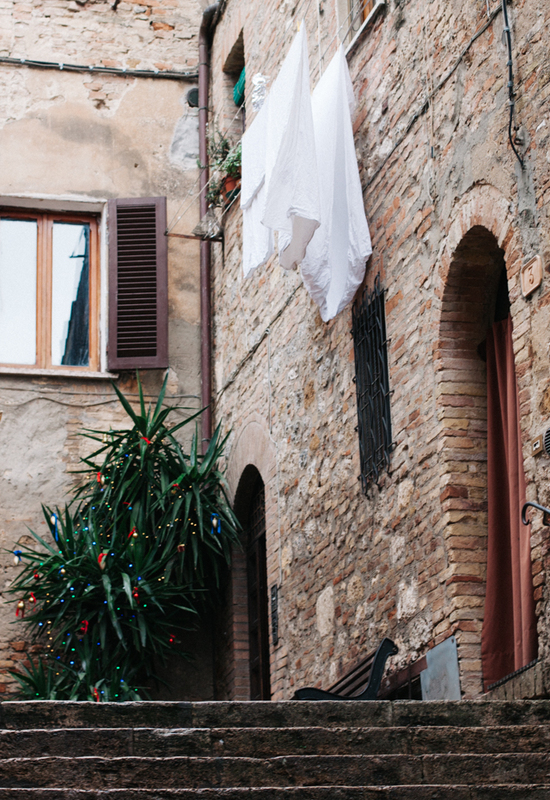 San Gimignano is a magical little town, historic, well-kept, friendly. We have rented an apartment, and will return in August, despite heat and crowds. We love it that much! Wow, congratulations! What a beautiful spot to be married in! Great idea to come at this time of the year. You’ll find August it’s another place all together but you’ll enjoy the calmer evenings/nights in the piazza when you can walk into Dondoli and get a gelato. Such beautiful photography! I love this place – it took me back to the last time I was there.